In small bowl, mix cream cheese, sour cream, 2 tablespoons of the chives, the lemon juice, salt and garlic powder. Stir to completely blend; spread in shallow serving platter. 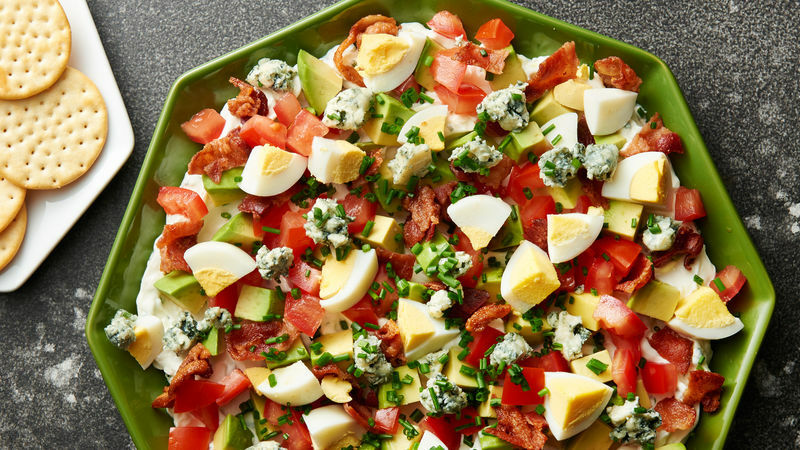 Top cream cheese mixture with avocado, bacon, tomatoes, eggs, blue cheese and remaining tablespoon of chives. Serve with crackers. Round butter crackers are the perfect choice with this dip.